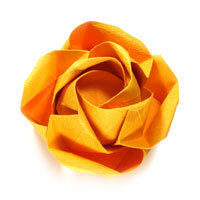 If you have been longing for folding an origami rose or origami flower before, you come to the right place! 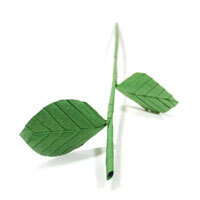 Folding a rose or flower is a difficult process if you want to try for a sophisticated model. I urge you to start with a simple model first. After you become comfortable with an easy model. you can try for more difficult one. 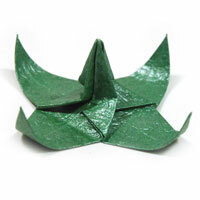 Here you can become a master of origami flower and rose if you are willing to spend a time on it. First, you should know what valley-fold and mountain-fold are. 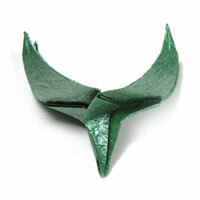 These are two most important folding techniques that you must learn before trying any origami model. 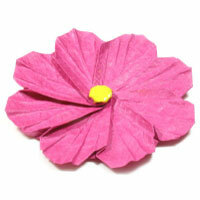 Initially you should get started with easy origami flowers or easy rose models first. Some models are traditional ones and some of them are my own designs. I hope you having a fun while learning rose or flower models. I would my best to present the instructions as clearly as possible but if you find some instruction unclear or even find an error, please don't hesitate to contact me through an email ( ). Also If you successfully complete a model, please try to submit your photo at the bottom of the 1st model page. I would love to see the outcome of my instructions. You will learn various kinds of flowers here. You will learn rose models here. 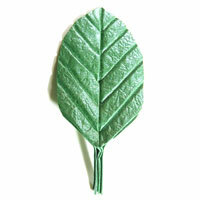 There are many kinds of origami leaf models. You will need a stem if you want to put an origami flower on top of it.